These organizations are walking the extra-mile with us. The R20 is a coalition of partners led by regional governments that work to promote and implement projects designed to produce local economic and environmental benefits in the form of reduced energy consumption and greenhouse gas emissions, strong local economies, improved public health and new green jobs. GEO Member governments include 96 nations and the European Commission, and 87 Participating Organizations comprised of international bodies with a mandate in Earth observations. Together, the GEO community is creating a Global Earth Observation System of Systems (GEOSS) that will link Earth observation resources world-wide across multiple Societal Benefit Areas - agriculture, biodiversity, climate, disasters, ecosystems, energy, health, water and weather - and make those resources available for better informed decision-making. FIWARE is an open initiative from the European Commission to accelerate innovative Startups. It aims to create a sustainable ecosystem to grasp the opportunities that will emerge with the new wave of digitalization caused by the integration of recent Internet technologies. 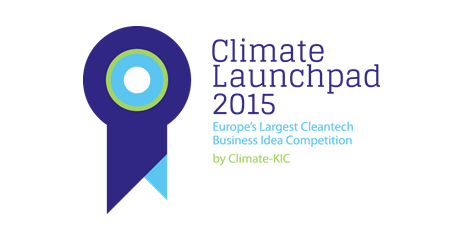 Climate-KIC’s ClimateLaunchpad is Europe’s largest cleantech business idea competition, organised for the second time in 2015. Our mission is to unlock Europe’s cleantech potential that addresses climate change. That is why we’re always on the lookout for Europe’s best sustainability ideas and help those ideas grow into global businesses. Cap2100 International aims to bring its expertise in the domain of territorial approach to climate change, in order to reduce the vulnerability of territories to climate change and control their environmental footprint. Its expertise is based on a perfect mastery of technical development of regional climatology, high resolution climate projections for Remote Sensing, prospective hydro-climatic modelling, agro-ecology and urban ecology, and geographic information systems (GIS ), implemented, in particular, sensitive tropical environments. The purpose of M-Trust is to provide strategic guidance for sustainable development with a positive impact on people in need, for today's and tomorrow's generations. We want to share relevant experiences of sustainable development, and support leadership based on values and principles that work in complex, multi-partner and stakeholder settings in the developing world. And we always aim for innovative approaches that work. M-Trust is centered on its founder, Jan Mattsson, his expertise, networks and passion to help make a difference where it matters.